Since time immemorial, India has maintained a cultural link with South-east Asia. But that was halted owing to multiple factors during the time of colonial intervention. This cultural link is said to have been revived and rebuilt by Rabindranath Tagore’s visit to that region, resulting in a permanent bond between them. It was through Rabindranath, a poet and philosopher, that India’s strong passion for universalism became known to the modern world. Wherever he travelled, Europe, America or Asia, he carried the message of humanism and universal brotherhood. Rabindranath’s nationalism was not narrow and egotistical that gives birth to chauvinism; it was pervasive, inculcating love, peace and harmony amongst nations. Mulk Raj Anand in his “Homage to Rabindranath Tagore” (Rabindranath Tagore A 125th Birth Anniversary Volume) noted that he stood for an association of nations across frontiers so that the claims of nationality should not become too exclusive, and he was, therefore, our first real internationalist. With a view to fostering an international understanding and universalism, Tagore opened his famous school at Santiniketan that turned to be an international university, Visva-Bharati, where scholars from different parts of the world including South-east Asia would come and meet in different capacities. His theory of culture and civilisation was based on intellectual fervour instead of materialistic essence. That was reflected in the lectures given during his tour and also in his writings about South-east Asian countries. Tagore, the only Nobel Laureate in Asia at that time, appeared to be a symbol of Asian glory and prestige and was heartily greeted by the people of South-east Asia. He was regarded as a reformer and a torchbearer of modernism. The book under review is a major work that throws light on these aspects. The volume is a collection of seven essays presented at an international seminar organised by the Centre for South and South-east Asian Studies, University of Calcutta on the occasion of the 150th birth anniversary of Rabindranath Tagore. 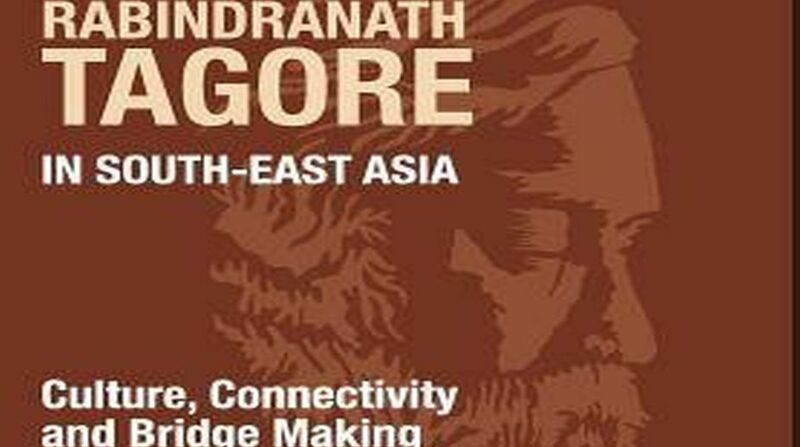 Most of the essays are well thought-out and nicely woven together, delineating how Tagore’s visit to South-east Asian countries (1927) contributed to building bridges between nations. The book’s Introduction brilliantly speaks of the motive behind Tagore’s visit to Southeast Asia, mentioning his desire to discover Indian culture there and detect the Asian cultural identity. The editor observes that Tagore appeared to be a nationalist and a PanAsianist as well, and eventually a Universalist. This different state of idealism evolved from many “inner tussles”. She argues that Tagore’s idea of international coexistence had a bearing on his tour of South-east Asia and the poet intended to reestablish India’s cultural ties with the region through proper appreciation of the ideals of Visva-Bharati. The first essay by Sabyasachi Bhattacharya deals with Tagore’s visit to South-east Asia in the light of his notion of universalism and humanism, focusing on the remaking of ties of friendship between India and South-east Asia. He adds that Tagore revived the cultural links and tried to rebuild them between the two regions with a universalistic outlook and a commitment to internationalism and intercultural understanding. William Radice illustrates that in his creative responses to the visit to Southeast Asia not only a classical, positive and joyous Tagore but also the disenchanted, more pessimistic and modernist Tagore could be found. Many of his writings, Sagarika, for example, talks about the recovery of India’s past cultural contact with Bali, and his tour of Southeast Asia reflects historical interest and his ingenuity as a poet. The contributors of the third, fourth, fifth and sixth essays, U Thaw Kaung and Daw Khin Hnin Oo, Sawitree Charoenpong, Angela Oons Kheng Fay, and Phan Thi Thu Hien respectively, are from the South-east Asian countries that Tagore visited. They have examined systematically the socio-cultural and intellectual impact of Tagore on Myanmar, Thailand, Singapore and Malay, and Vietnam where his speeches gave the vision of the unity of man and cultural awakening of Asia. His visits, as reflected in these essays, promoted cultural ties between India and these countries and brought their people close to India. These essays throw light on how newly educated young intellectuals were enormously impressed by Tagore’s ideas of nationalism, universalism and his model of education in VisvaBharati. The essay by Arun Das Gupta, taken posthumously, gives a vivid account of how Tagore in Indonesia upheld the task of restoring the cultural ties with India and acted to launch a cultural exchange programme and thus build a bridge between India and Indonesia. The author also addresses how each side was benefited by his tour. He analyses that Tagore in Indonesia inculcated the message of cultural bonding among Asian peoples, including ancient cultural ties between India and Indonesia and crossborder nationalism. Finally, Sourindranath Bhattacharya in the Afterword refers, in the context of Tagore’s journey to South-east Asia, to pan-Indianism — an extension of cultural India, which was opposed to the politico-economic expansion of the West that affected humanism and brotherhood. 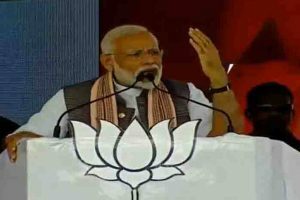 Tagore denounced, as pointed out by the author, this politico-economic conquest of the others and reiterated ties of culture between India and South-east Asia. Almost all the essays are very informative, well-researched and written in a rational objective manner. The editor has done her job very meticulously and deserves to be complimented for her ability to integrate the rich collection of essays and present them in such a lucid manner. However, most of the essays could be divided into sub-themes that would give the readers more pleasure. Moreover, an adequate bibliography would be of much more use. Otherwise, it is a valuable work for both its range and depth. It provides the tool for a better understanding of Tagore’s philosophical thoughts and humanistic values in the context of his visit to South-east Asian countries in the 1920s. The book would be useful to teachers, students and researchers. It would undoubtedly add to the burgeoning literature on the cultural history of South-east Asia.